Since the Space Shuttle was decommissioned in 2011 the United States has not had manned space flight capabilities. If we want to send an astronaut to the International Space Station that we helped pay for, we have to hitch a ride with the Russians. Maybe it is not so bad we just elected Putin’s bestie as the 45th president. You might think this would be an issue the candidates for the highest office in the land would have addressed, but they were obviously not so inclined. 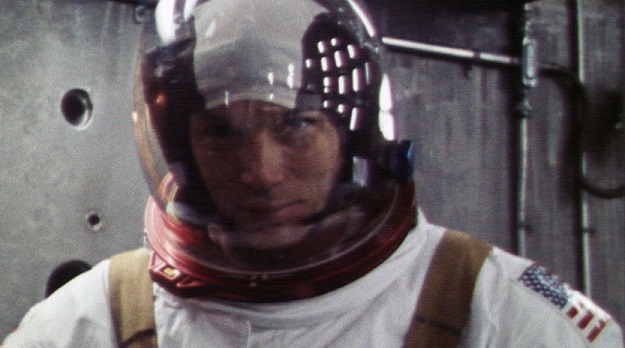 Many scientists and former astronauts try to start that conversation now in Paul Hildebrandt’s Fight for Space (trailer here), which screens during DOC NYC 2016. The Apollo 11 Moon landing was one of the greatest moments in human history. Hildebrandt and his impressive cast of interviewees briefly review the concerted effort that got us there and review some of the remarkable resulting spin-off technologies (GPS, for instance). However, they slow down to chronicle, step by step, the budget cuts, political shifts in priorities, and painful tragedies that now have NASA mired in confusion and self-doubt. It is a sad, but fascinating story. There are some eye-opening contentions in Fight, including the argument NASA should have maintained and updated the Apollo-era Saturn 5 rockets rather than developing the Shuttle (which most observers now admit was a flawed concept). It turns out that is exactly what the Russians did with their Soyuz rockets. Evidently, there were also credible proposals floated at NASA to get a crew to Mars with existing technology without busting the budget, but unfortunately subsequent agency administrators opted to reinvent a bigger, louder, dumber Saturn program. Watching Fight for Space is like one long face-palm. We have gone from first to worst within a generation. NASA takes a lot of flak during the film, but most presidential administrations look even worse. George W. Bush is nearly an exception. He had the vision thing, but his second appointed NASA Administrator receives particularly low marks. Hildebrandt assembled an impressive battery of experts to pass such judgements, including former astronaut Jim Lovell, flight director Gene Kranz, space historian Jim Logsdon, physicist Michio Kaku, and astronomer Neil DeGrasse Tyson. TV celebrity Bill Nye also makes a few appearances, but his soundbites aren’t very insightful. However, nobody can hold a candle to the garrulous wit and conviction of Story Musgrave, the only astronaut who served on all five space shuttles. Rick Tumlinson of the Space Frontier Foundation makes a point in Fight that just keeps ringing in our ears. He attributes the spread of lunatic fringe theories about faked moon landings to the simple fact that we haven’t returned since 1972. Some of Hildebrandt’s experts make the economic argument regarding the benefits of spill-over technology, whereas others are more idealist, in the Star Trek tradition. Yet, the real question is whether we want to have an active role in the future or do we prefer to leave it to other nations. 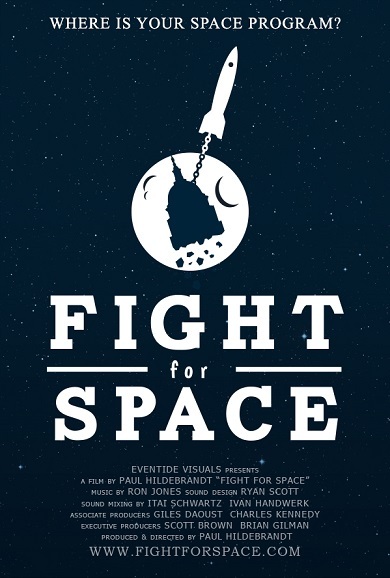 Recommended as a persuasive wake-up call for anyone concerned about our place in the world and the universe, Fight for Space screens this Monday (11/14) and Tuesday (11/15), as part of DOC NYC 2016.